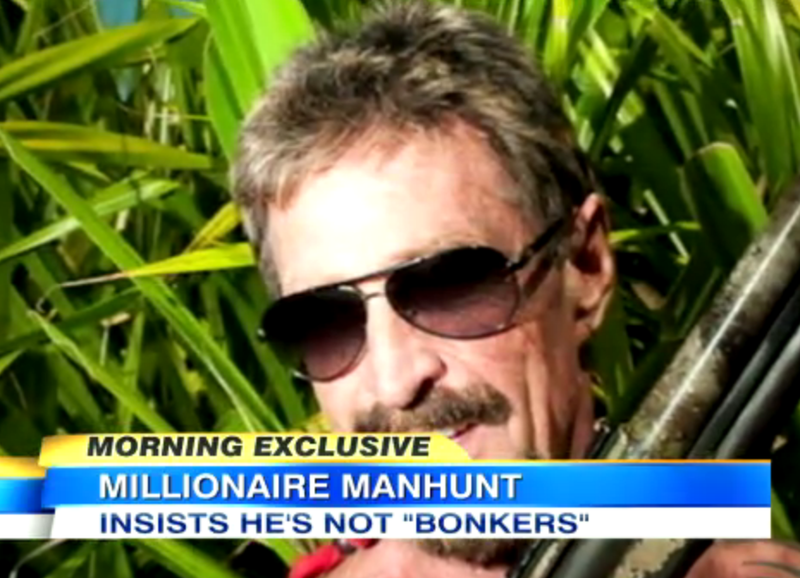 Dan appeared on Good Morning America today alongside fellow legal analyst Nancy Grace to discuss the bizarre case of John McAfee, software millionaire. You may recognize the name from the anti-virus software on your computer — its creator is now a person of interest in the homicide of his neighbor, Gregory Faull, and is on the run from police in Belize. 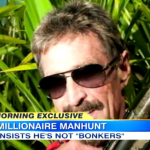 The neighbors had allegedly filed complaints against McAfee, saying his on-grounds security people were hostile towards them, and that his vicious watchdogs had attacked neighbors. However, he is not officially a suspect yet. Dan explains of the formality, “Of course, he’s the main suspect here — you’ve got the motive, you’ve got this incident with the dog, their history, you’ve got witness accounts of the relationship that they had, and now you’ve got the fact that he’s on the run, so the authorities are saying publicly, ‘Ah come on, we just want to talk to him’ …of course the reality is that he is now the prime suspect. Watch the video here.